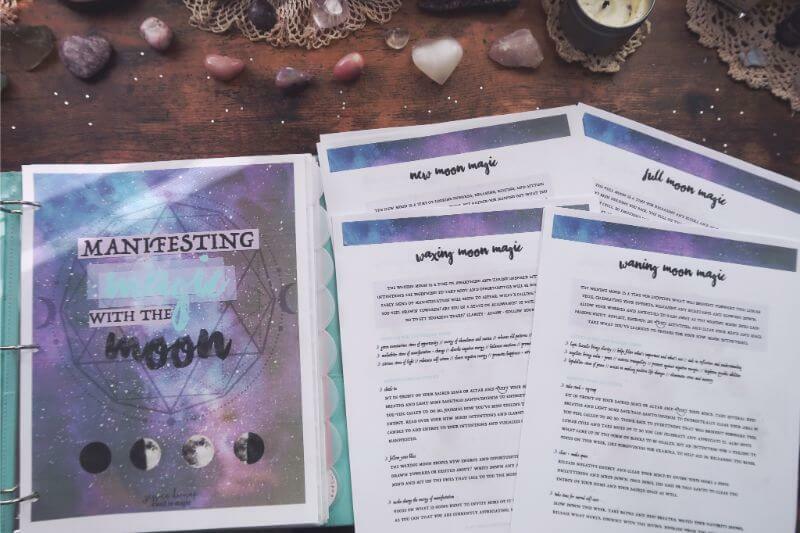 If you’re looking for a way to easily incorporate everyday, magical self-care into your life, the Manifesting Magic with the Moon bundle is for you. 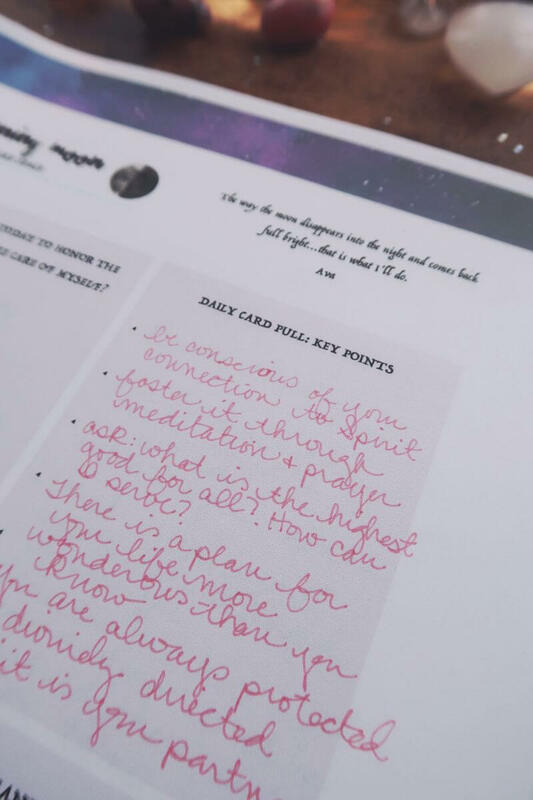 The bundle comes with 4 monthly self-care rituals along with a powerful, daily intention-setting worksheet. 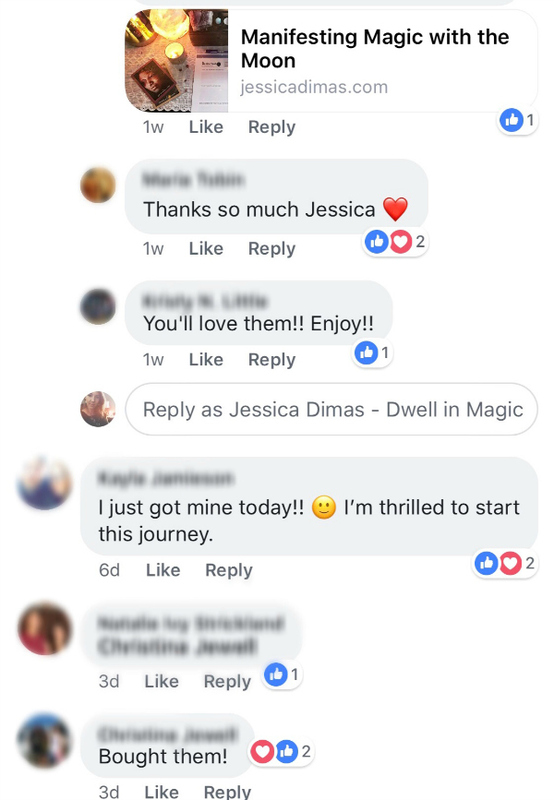 Experience how easy & transformative self-care can be. 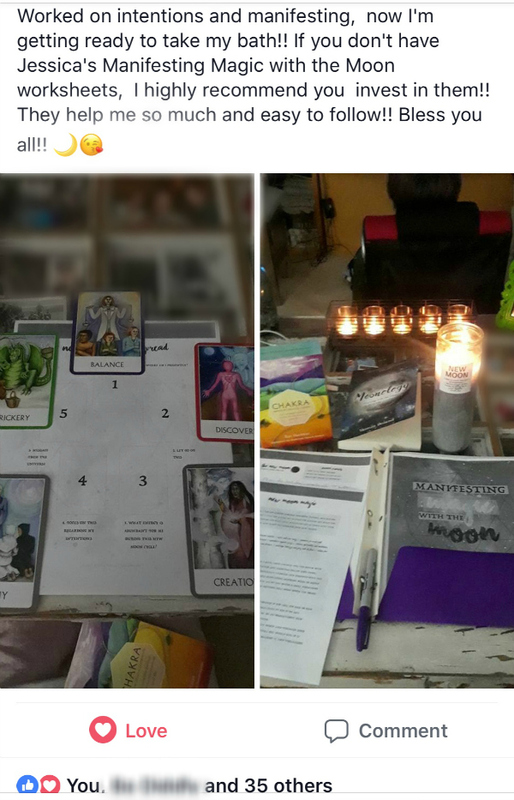 Each moon phase comes with 5 ritual sheets, totaling 20 different sheets. 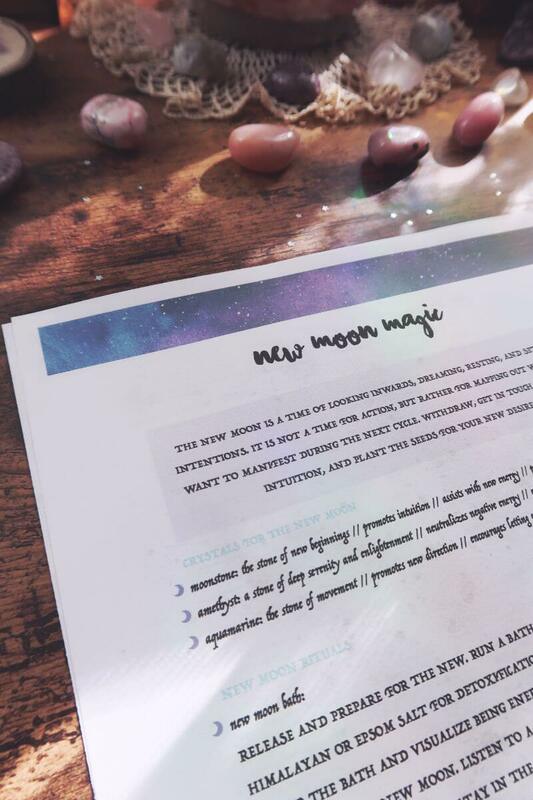 NEW MOON: use the New Moon worksheets to inspire and guide you through a sacred self-care ritual to map out your month, clear your mind, and set powerful new intentions. 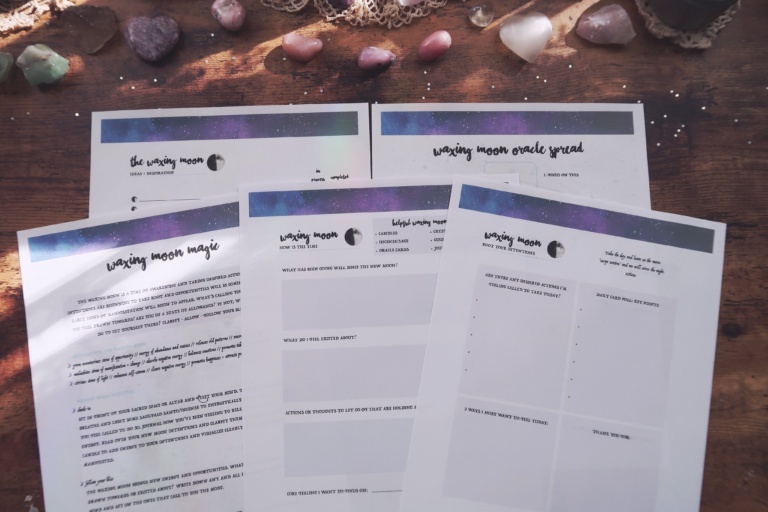 WAXING MOON: use the Waxing Moon worksheets to root your intentions and begin taking inspired, joyful actions towards them. 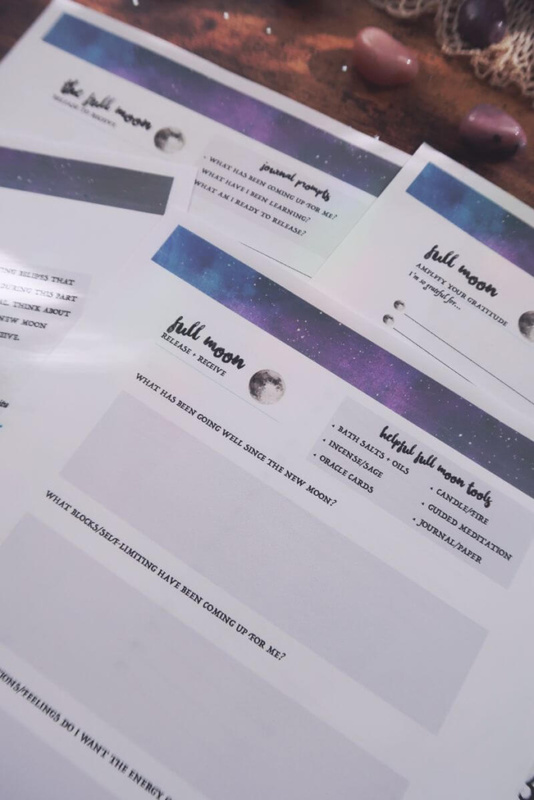 FULL MOON: use the Full Moon worksheets to guide you through a sacred self-care ritual that will turbo boost your intentions while releasing self-limiting beliefs. 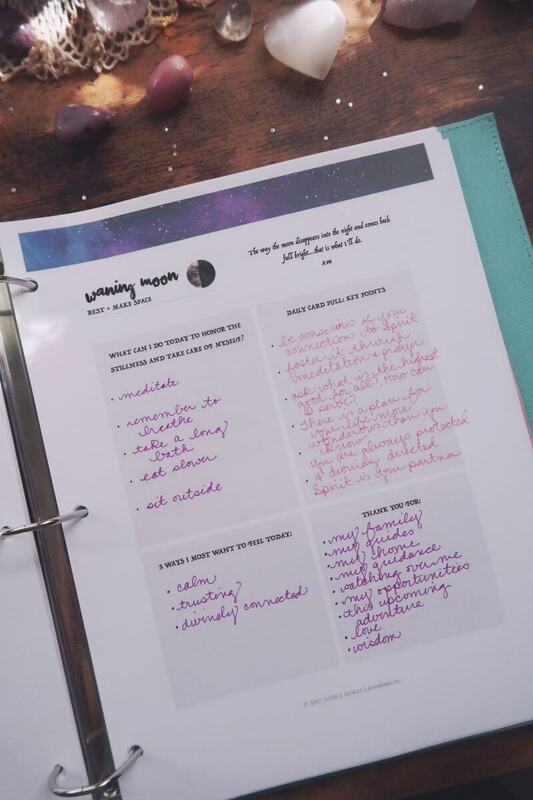 WANING MOON: use the Waning Moon worksheets to reflect, take stock, clean and clear your home, and let any negative energy fade with the moon. 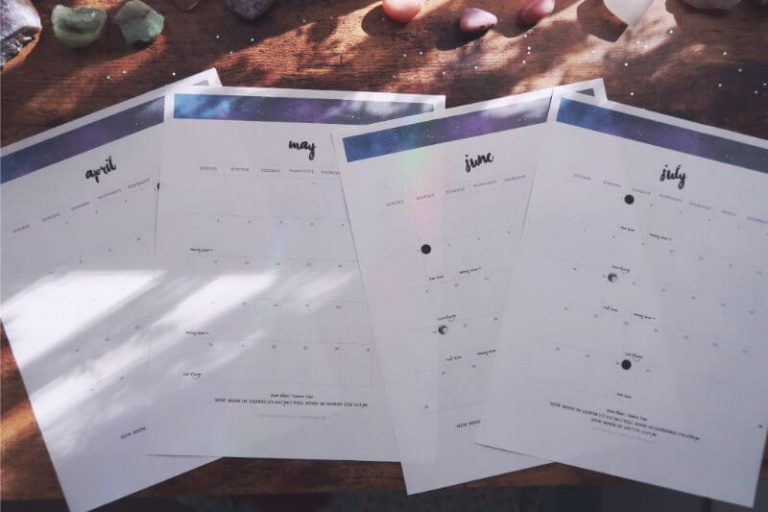 2019 MOON CALENDAR: a calendar for the year showing the moon phases, times, and signs so you can easily plan your self-care moon rituals. Make self-care, self-love and magic apart of your everyday routine with this beautiful worksheet bundle. ➜ How many worksheets are there and what size do they come in? 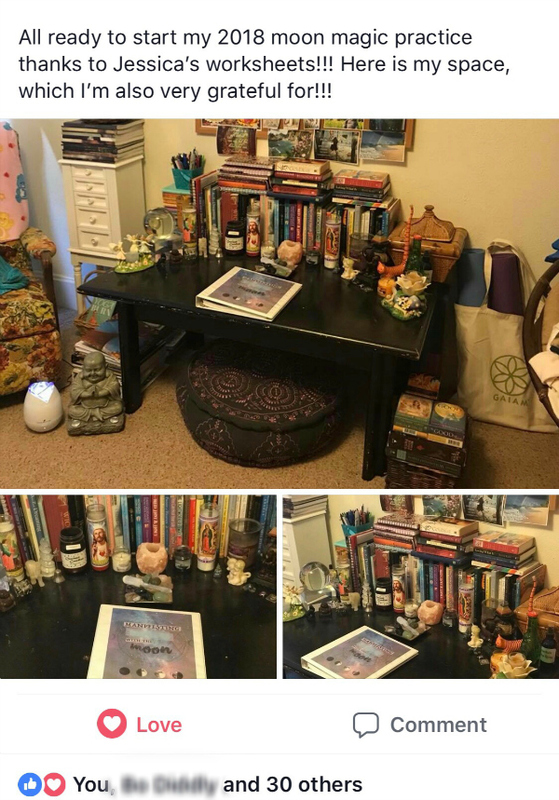 There are a total of 20 ritual sheets, plus the calendar and an instructional mini-guide on how to use each sheet. I created them as standard 8×11 but they could be fitted smaller in your printer options. ➜ When do I start the Waning and Waxing daily morning sheets? You can start these whenever you’d like. 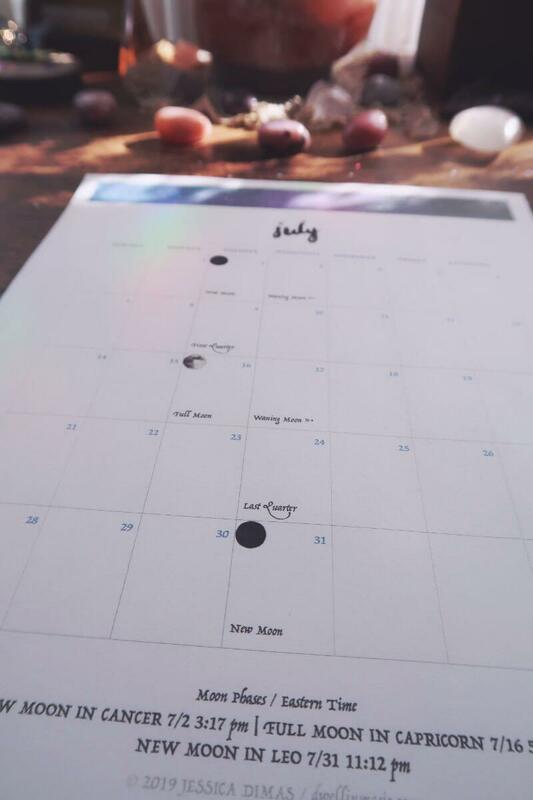 I personally will stay with the Waxing Moon morning sheet until I feel like I’m ready to switch over to the Waning Moon morning sheet. The Waxing Moon has an inspired action energy, where the Waning Moon has a reflective energy. You could even go with whichever one most reflects YOUR personal moontime cycle. Technically, after your New Moon ritual, you would start the Waxing Moon morning sheet for the next two weeks up until the Full Moon. 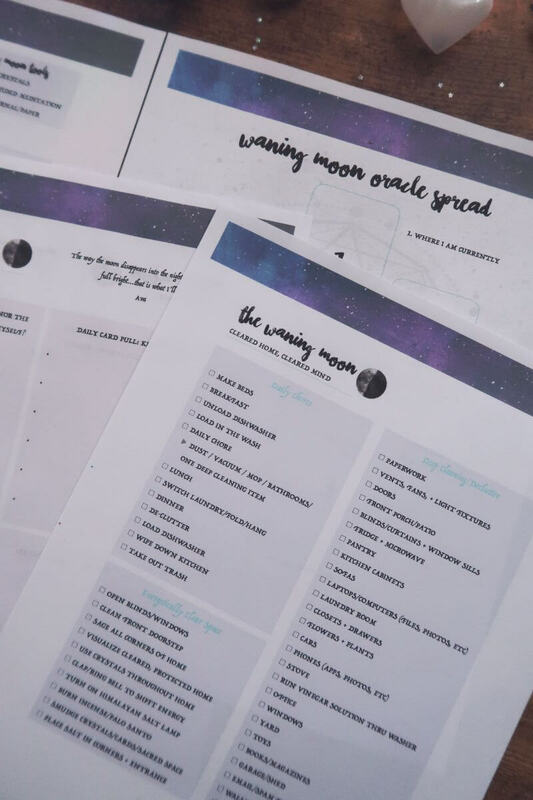 After your Full Moon ritual, you would start the Waning Moon morning sheet for the next two weeks up until the New Moon. 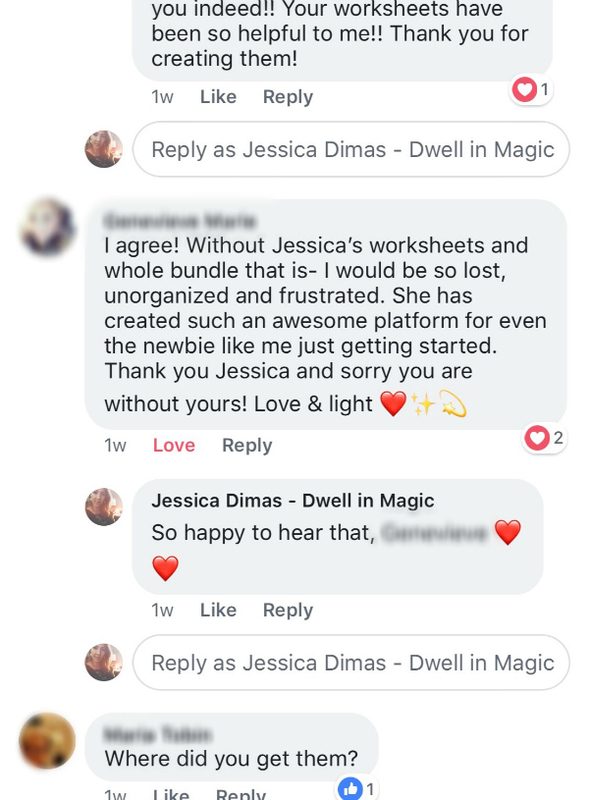 ➜ How will I receive this bundle? Check out for this worksheet bundle is through Gumroad, our secure e-goods check out partner. ➜ What is your return policy? Since all files are digital, they can’t really be returned. But if you have any concerns, you are always free to email me and I will be happy to help. ➜ What format does this download come in? These worksheets are in Portable Document Format (PDF). This is a universal document format for digital files, and most newer computers and devices have PDF readers automatically installed. These PDF readers (also called Document Viewers) will automatically open your file. If you have an older computer or you aren’t sure if your computer has a PDF reader, download a free PDF reader here for viewing your eBook.